Labour have opened up a five point gap over the Conservatives in the polls. 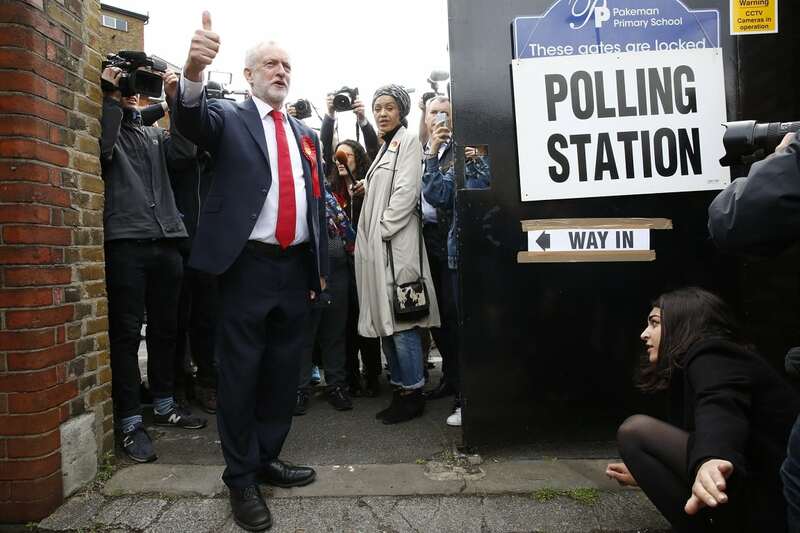 According to the latest Westminster voting intention 41 per cent of Brits would vote for Jeremy Corbyn’s party if there was an election tomorrow. Just 36 per cent said they would vote for the Conservatives and nine per cent backed the Liberal Democrats. Theresa May threatened Conservative rebels with a general election this summer if they defeated her plans on customs after Brexit. Tory whips issued the warning to Remain-backing MPs, led by the former ministers Stephen Hammond and Nicky Morgan, minutes before a crucial vote last night that would have kept Britain inside a customs union. The prime minister survived the vote by a majority of six, although 12 of her MPs walked through the opposition division lobbies in defiance. The Liberal Democrats have also taken a beating over Brexit after leader Vince Cable and his predecessor Tim Farron missed key votes despite pedalling an anti-Brexit agenda. An editorial on The London Economic called their absence another example of how the Lib Dems are “all bark and no bite”.